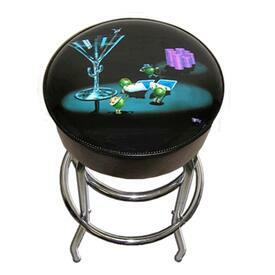 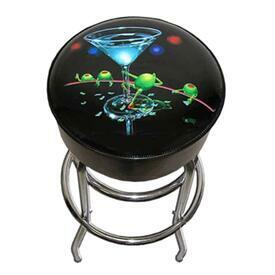 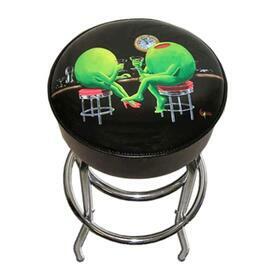 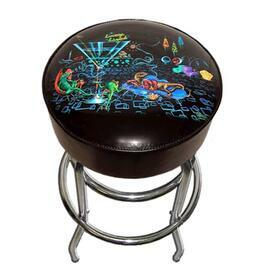 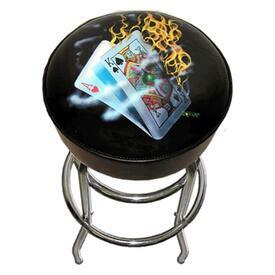 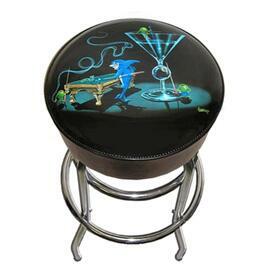 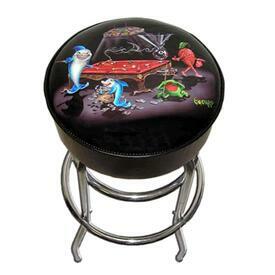 Backless bar stools on sale with free shipping! 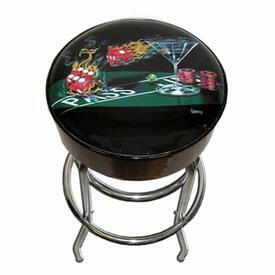 Regardless if placed at a dining table, in a game room or under the kitchen island. 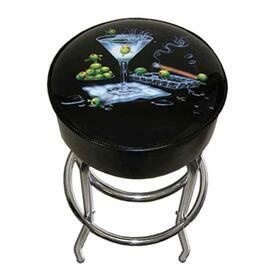 Backless seating offers a wonderful experience without the large profile of regular bar stools. 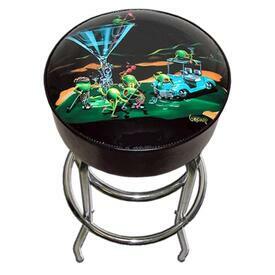 Pick a modern-looking adjustable-height with a fiberglass body and chrome accents or purchase several traditional round-top styles found in kitchens and breakfast rooms across the country. 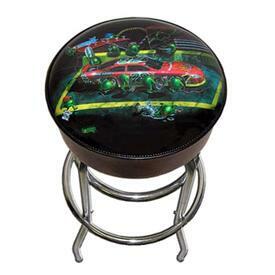 The selection is nearly infinite, with wood, metal and fiberglass models built from strong frames of natural wood or steel finished in solid and distressed colors of merlot, gold, cherry, oak and others. 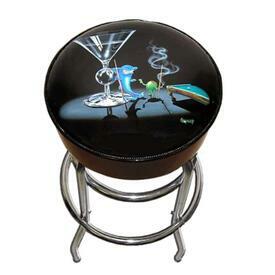 Relax in foam-padded seats covered in leather, fabric or suede that are both soft to the touch and comfortable in use. 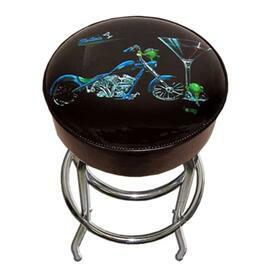 Create a lounge-lizard look with Michael Godard, showcasing the Las Vegas native's artwork of playing cards, crazy olives and monster motorcycles on comfy black-vinyl seats. Insert classic styling, timeless designs and enduring materials with an option made from a solid hardwood finished to a wonderful veneer. 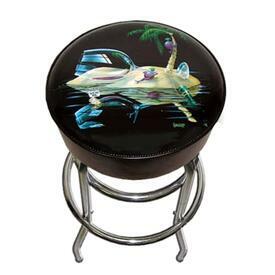 Our offering comes in a variety of forms and styles, so be sure to browse through our assortment to find the perfect match for that indoor space. 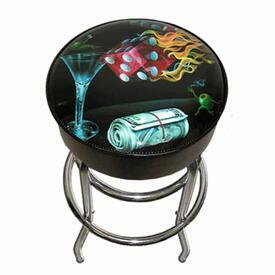 Quality bar furniture can be hard to find, but with Family Leisure, excellence is just one click away!